Time for a Career Change? Take Our Quiz and Find Your Dream Job! We all reach a point in our lives when we want to switch up our careers. Maybe it’s because you got bored or you weren’t making enough money. Either way, we’re here to help you figure out your next career move. Take our quiz and let us know what your result was! Wow! What a great future career. We hope that you do everything you can to pursue your dream job. 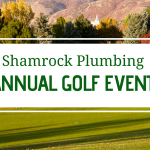 If you got plumbing as your result, it might be time for you to give Shamrock a call. We are always looking for professional and hard-working individuals to join our team. If you are interested in becoming part of the Shamrock family, check out our careers page!